What to think about when planning any Weekend Getaways in New England? Different areas of New England experience heavy crowds of tourists at certain points in the year. During summer the coastal areas of Connecticut, Massachusetts, Maine and Rhode Island, welcome the most visitors, when water activities like sailing, fishing are most tempting. In winter, popular ski trails in inland Main, Vermont, and New Hampshire are thick with winter sport enthusiasts. In fall, the whole region blazes with Indian summer colors, attracting millions of autumn leaf peepers. 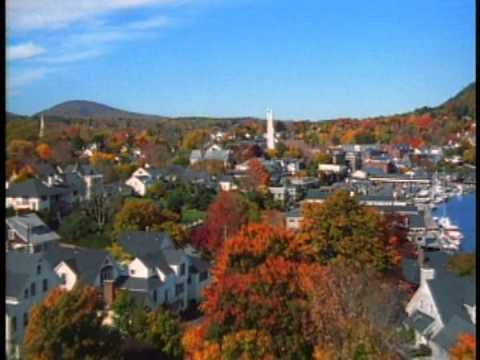 Discover New England, the best things to do and the best place to stay in ! New England Tip: For cheap weekend getaways in New England and to avoid crowds, choose off-peak times in spring or plan a trip for the coast in winter and the mountains in summer. Instead of visiting a popular city like Chatham on Cape Cod during the high season safe your money and wait until tourist season is ending or shift your focus a bit. Rockport, Massachusetts, is a perfect destination for a romantic getaways in New england. For couples Martha’s Vineyard of course has much to offer, charming towns, fabulous restaurants and shops, exciting outdoor activities compared with a beautiful scenery. Just take the ferry and you’ll really experience a “getaway feeling” as you leave the mainland and cross the open water towards the island. Visit the beach at Ogunquit, Main, for gorgeous white sand, rocks to climb, great lobster and amazing seascapes. Threw down your picnic blanket at Race Point beach, Provincetown, MA – the big wide beach which is never too crowded. Take off for a day or two for New England´s ski mountains, prices are at their lowest mid-week during the winter months. Looking for a family friendly place than head to Smugglers’ Notch, Jefferson, Vt. Here they offer a lot of fun off-slope winter activities too. More winter weekend getaways in New England: looking for the most snowy area in North America than a trip to Jay Peak, Vt. close to the Canadian border is the best tip. If you prefer great post card panoramic views there is no better place than the 4,062-foot summit of Wildcat Mountain near Pinkham Notch, N.H. If you want to stay below the radar, Saddleback, Main is much underrated compared to the other big resorts, but you´ll really enjoy your visit. Portland, Maine – the waterfront city. Portland’s historic downtown area lures with hundreds of shops and restaurants to choose from. For art lovers: the Portland Museum of Art, includes works by Winslow Homer and French Impressionists, such as Claude Monet and Pierre-August Renoir. Portsmouth, NH is a place to get a good meal, because there are more restaurant dining seats than full-time residents. During the holiday season Portsmouth prides itself on decking its downtown area with lights and decorations. Another highlight on weekends in December: the Strawbery Banke Museum, an outdoor history museum with historic buildings, hosts “Candlelight Stroll” tours. Newport, RI is easy to get to, but crowded during the summer month. But if you go off-season rates at hotels get more inexpensive, seats become available even at great restaurants, and the sidewalks along the waterfront and narrow side streets are easier to negotiate. New England, a region in the northeastern corner of the United States consisting of the six states of Connecticut, New Hampshire, Massachusetts, Vermont, Rhode Island, and Maine. Hope you enjoyed our article on Weekend Getaways in New England, stay tuned for more.